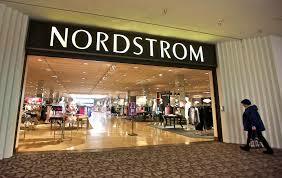 Nordstrom, Inc. is an American upscale fashion retailer, founded by John W. Nordstrom and Carl F. Wallin and headquartered inSeattle, Washington. The company began as a shoe retailer and has since expanded its inventory to include clothing, accessories, handbags, jewelry, cosmetics, and fragrances. 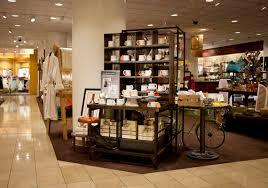 Select Nordstrom stores also have wedding and home furnishing departments. There are 271 stores operating in 36 states, which includes 117 full-line stores and 151 Nordstrom Racks. Nordstrom has always been famous for having the best customer service. It was known that they never declined a return, and there was a story that a customer came in to return a tire, and despite the fact that they didn’t carry tires, they gave him a refund. Probably urban legend but it shows the extremes they go to in order to satisfy their customers. We’re glad to have you with our Company. 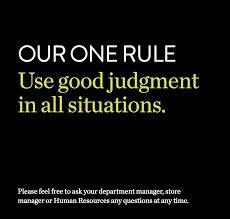 Our number one goal is to provide outstanding customer service. Set both your personal and professional goals high. We have great confidence in your ability to achieve them. If you have a story about Nordstrom, or wish to recognize someone that worked there, comment here and it will be added to the page.